Born on the month of November? You’re in for a treat as you can take a pick between two bright gemstones to lighten up the cool season. Topaz and citrine are both popular for bringing warmth and fortune to the wearer. These two birthstones also look quite similar that at times, they can be mistaken for one another. But they are actually different minerals with topaz occurring in a wide range of colors apart from yellow. During the Middle Ages, topaz was ground into powder and mixed with wine as it was thought to bring a good night’s sleep. Though colorless, the impurities of topaz can turn to almost any tone with yellow to amber as the traditional colors. According to the ancient Greeks, topaz could make the wearer invisible. Since this gemstone is a symbol of honor and strength, it is thought to bring longevity and wisdom. Imperial topaz is a reddish orange gem with pink undertones and is the most valuable form. This stone was believed to have healing powers which includes preventing premature death, minimizing fever, alleviating asthma, and improving vision. If by chance you dream of topaz, the problem you’ve been struggling for a while will be solved. Blue topaz is rare and the ones that are available are mostly treated. This gem was believed to calm anger and balance strong emotions. Citrine is a form of pale yellow to dark amber quartz. The yellow tones come from iron. Natural citrines are known to be rare. The ones that are for sale are either smoky quartz or amethyst that have been heat-treated to produce the yellow hue, turning the gem into citrine. Most of these gemstones that are sold in the market are the result of heat treatment which causes some amethyst to change color from a rather unattractive pale violet to an interesting yellow. Often confused with topaz, citrine is sometimes called “Madeira topaz”. 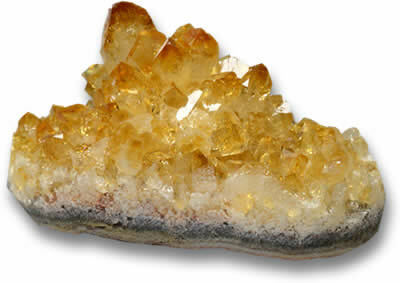 Citrine used to be a variety of quartz which has been used in jewelry for thousands of years. The use of this birthstone in the so-called “Scottish” jewelry was all the rage during the Victorian Era. Citrine is believed to offer the same benefits as topaz which includes the ability to calm, heal, protect against snake venom, and encourage prosperity. Derived from the French word lemon (citron), this gemstone is given as a thirteenth wedding anniversary. So, go ahead and choose a birthstone jewelry in the color of your choice. Both topaz and citrine look great in silver and gold rings. The great thing about these two is that they are affordable. Even if you opt for large sizes, you can afford any of these stones and incorporate them into your jewelry collection.